I have always been good at making money, but the money comes in and the money goes out. At the end of the day, I made too much money to be broke. I thought I could “out-earn” my spending habits and stupidity… I was so WRONG and had a pitiful amount in savings to boot. One day I heard a guy on the radio talking about retiring wealthy while making $40,000 per year. I was shocked. Did I hear him correctly? Yes I did, and as it turns out the majority of millionaires are more frugal than the luxurious icons we tend to associate them with. They are the hardest of hard workers that have smart spending habits, smarter investments and lots of discipline. They usually don’t have the latest and greatest gadgets or toys and live in more modest, paid-for homes. Hence the million dollars sitting safely in investments, retirement plans and the bank. Since I became a Dave Ramsey fan and follower, I have become very aware of my money. For those of you who don’t know, he teaches all the ins and outs about getting out of debt, saving, investing, giving, building wealth and retiring with dignity. His money saving advice has completely changed my life, improved my marriage and given me a sense of financial security (that once seemed like a huge black cloud of stress). 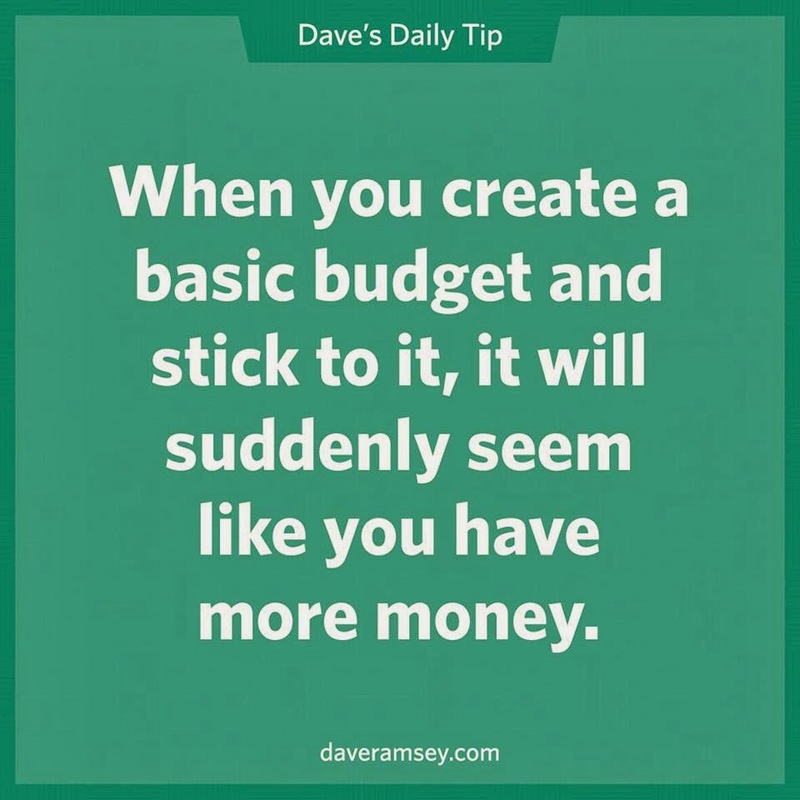 The best thing I learned, and strongly recommend doing, from Financial Peace University (Dave’s program) is to create a WRITTEN zero-line budget. Money coming in plus money going out equals zero. The categories cover giving, saving, housing, utilities, food, clothing, transportation, health insurance, personal items, recreation and debt (with the goal being zero debt). This was hard at first; I didn’t want to feel restricted with hard-earned money. What I learned about a zero line budget is: every dollar has a name and assignment. As long as it’s written on the budget, we are able to purchase it. This really cuts impulse spending during the month. If I didn’t need it when I wrote the budget, do I really NEED it now? It’s amazing how living on less than you make enables you to save money that might have been spent on things you thought you needed in the moment. I have saved thousands of dollars by budgeting. I find myself looking for things at consignment stores, garage sales or on Craigslist and loving not only the money I save, but that the stuff comes home without a payment plan. 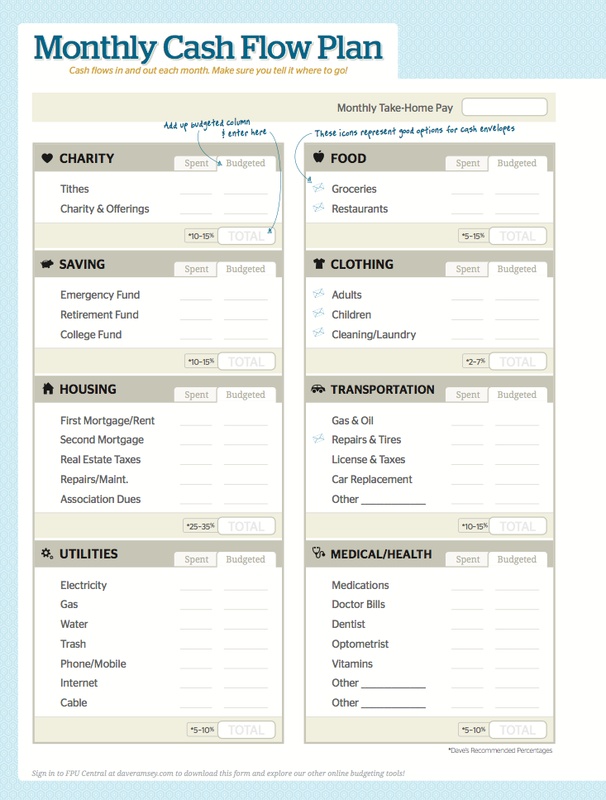 Here is Dave’s FREE budget form that I use. Its based on his New York Times Best seller: The Total Money Makeover. Please remember: budgeting is hard, saving money is hard. You won’t get this budget stuff right the first time. Life happens and things pop up, but as you do the written budget month after month you will see yourself thinking ahead and becoming a master of money. READ 8 stupid things people do to mess up financially. What was your wakeup call? Have you had a “come to Jesus” moment concerning your finances? thanks for sharing. my husband and I start with FPU next week- can’t wait! so wish the folks in DC would think about this…. actually having a name for each penny that enters there…. Good for you two! 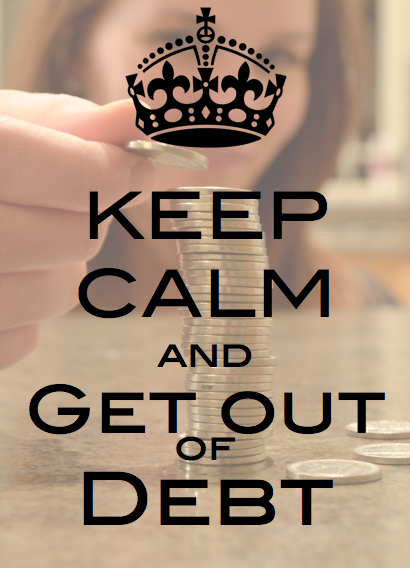 It is the best feeling in the world to be debt-free, really hard but totally worth it! My pleasure! I know lots of people want to learn more about it, so really Thank YOU! Great post. I love Dave Ramsey! His methods are so effective and inspiring! Way to go! Dave Ramsey is awesome! My husband and I listened to his CD’s a while back and have been trying to live his teachings! Great stuff though! I love all of it too! Fixing to do my first budget.. glad to say this but kinda ashamed as well.. like the book says I’m sick and tired of being sick and tired.. My husband and I work very hard and find ourselves looking at people around us and wondering how in the world are they doing it. .? we must be doing something wrong.. well, now it the time to take charge and get out of debt.. nervous but so excited to start marking things off in red that states paid in full… your budget sheets look easy to use and this is what I need to get started on this journey..
Dave Ramsey is the BEST, You are starting on an amazing journey! You can do it!